Sprinkle ribs with salt and pepper. Place ribs in broiler pan under broiler for 30 minutes. Brown ribs and pour off grease. Put sliced onions in crock-pot. 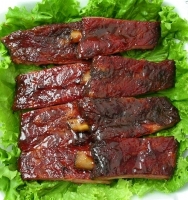 Slice ribs into serving pieces and put in crock-pot. Pour on barbecue sauce. 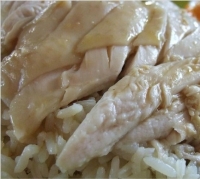 Cover and cook on low 8 to 10 hours (high 4 to 5). Recipe categories: Weeknight, Oven, Barbecue.